I love Christmas and everything about it. Buying presents for my friends and families, finding that perfect gift that you know they are going to love. All the Christmas music that is constantly played everywhere you go. The chance of a night out, which is very rare, but as its Christmas it must be done. That its ok to watch Christmas movies all the time and snuggle on the sofa with hot chocolate. The twinkly lights from our Christmas tree, making the room feel even more cosy. I just LOVE it all! But, there is one thing that I’m not a fan of at this time of year. The pressure that it can bring! There is always so much to do, there are Christmas cakes and biscuits to be made and as we always have people over at Christmas, the house needs to be cleaned. Not your normal clean, but a real deep clean and that includes the spare room, that you forget about for 11 months of the year. 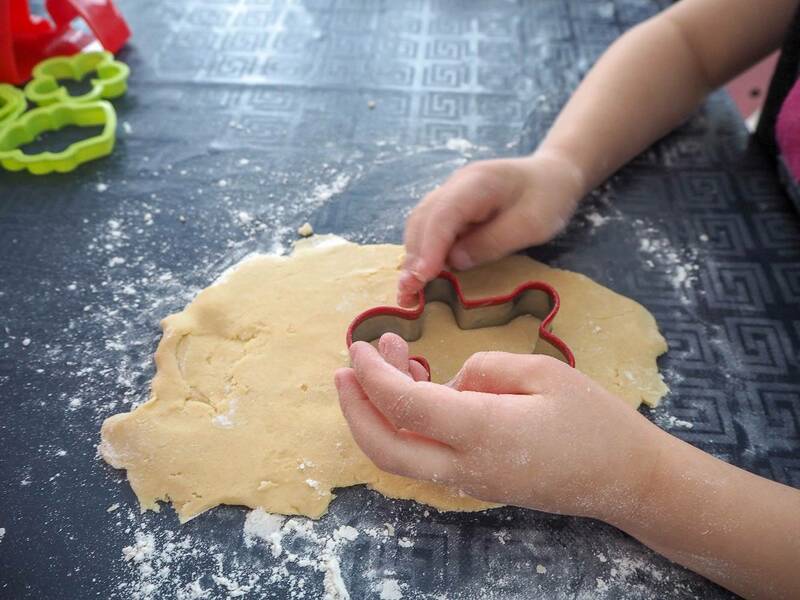 Regina have done some research which revealed that 63% of UK consumers admit they miss out on family time because they begin to tidy the house at least a week before the big day, with 37% tidying between 10 and 18 days in advance of Christmas Day. Sadly, this research doesn’t surprise me. But this year thanks to Regina, I’m starting my Christmas clean early and I have already made a start on the spare room. I think starting early and having a plan is the way forward to remove some of that stress. 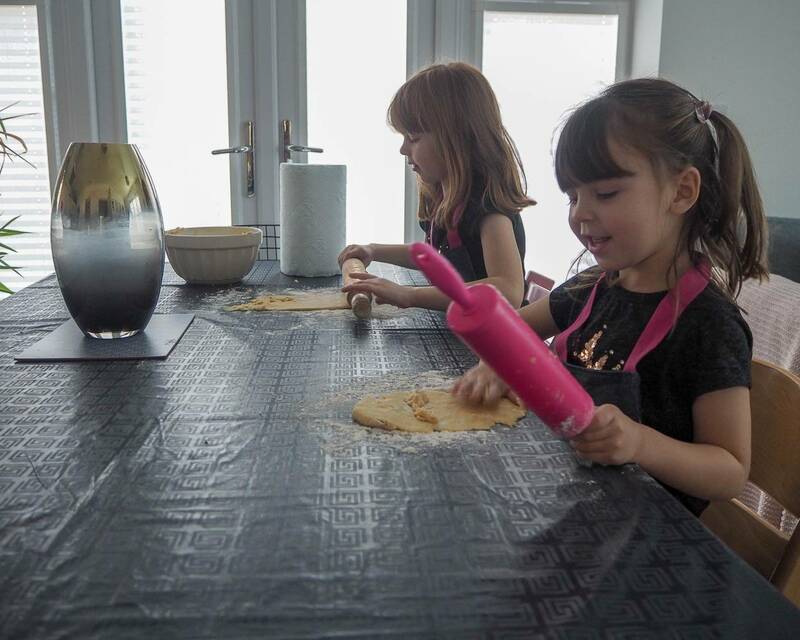 The girls love to make Christmas biscuits for everyone, but that doesn’t mean you have to be baking 2 days before the big day. I found a biscuit recipe, which means we can freeze the biscuits. Then we can make them weeks in advance, when we are all a lot more relaxed and can enjoy the moment. 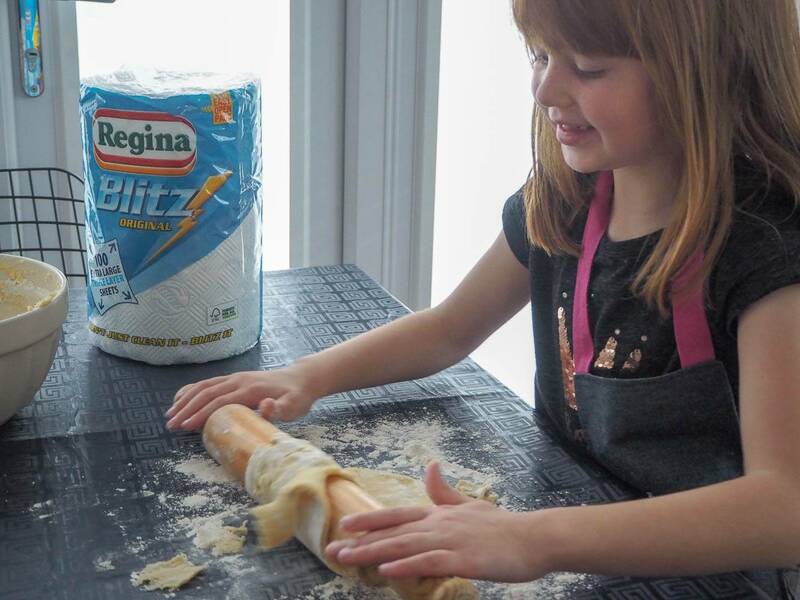 I don’t even get stressed about the mess now, thanks to our Regina Blitz kitchen towels. They are larger than any we’ve used before, making the cleaning quicker and they don’t tear when we are cleaning little hands. While the biscuits were baking, we were able to clean up the mess and tick off Christmas biscuits from our to do list. Make a plan! 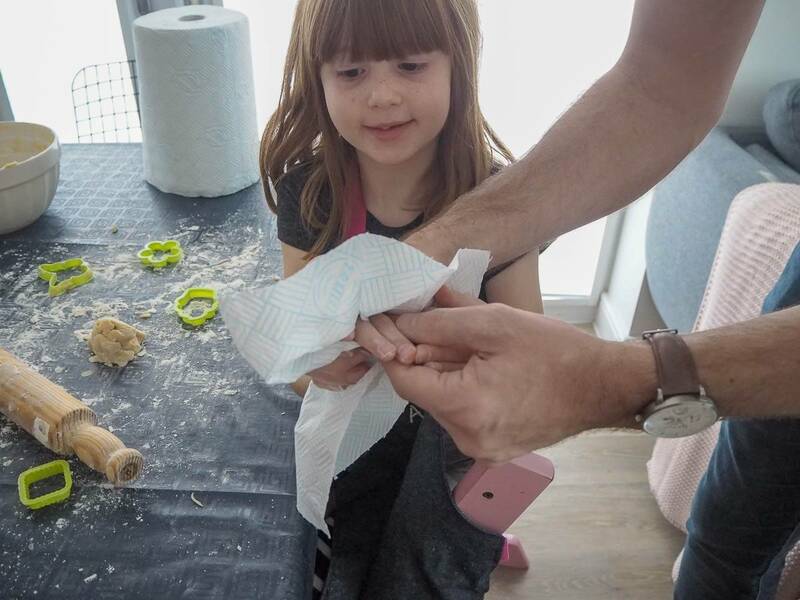 Since Holly started school and I made my blog my job, I found it hard to get the balance right between doing the housework and doing my work. I made a weekly plan and broke down all the different rooms in the house and jobs that need doing every week. I then do a bit each day and I have found this is much more manageable and I don’t feel overwhelmed. With Christmas coming up, I’ve added some extra jobs to each day. Tackling them all day by day and giving myself enough time to get it all done. Rather than leaving it to the last minute like I normally do. I’ve been using kitchen roll for a while now to do most of my household cleaning. A quick spray of cleaner and a wipe and it comes up really clean and you can just throw it away. Since using Regina Blitz, the towels are bigger and stronger, which has meant I’ve been able to do more with one sheet. Andy is actually better at keeping the house clean, than I am and does his share of the jobs around the house. This definitely helps us to keep on top of it all and not feel overwhelmed. Christmas is meant to be a happy time, a time for us to spend with our friends and families. We don’t want to spend it constantly cleaning and worrying about it. As a nation we put a lot of pressure on ourselves to have this perfectly clean house. But with some careful planning and starting early, cleaning doesn’t have to replace the fun. There is room for both in our lives. 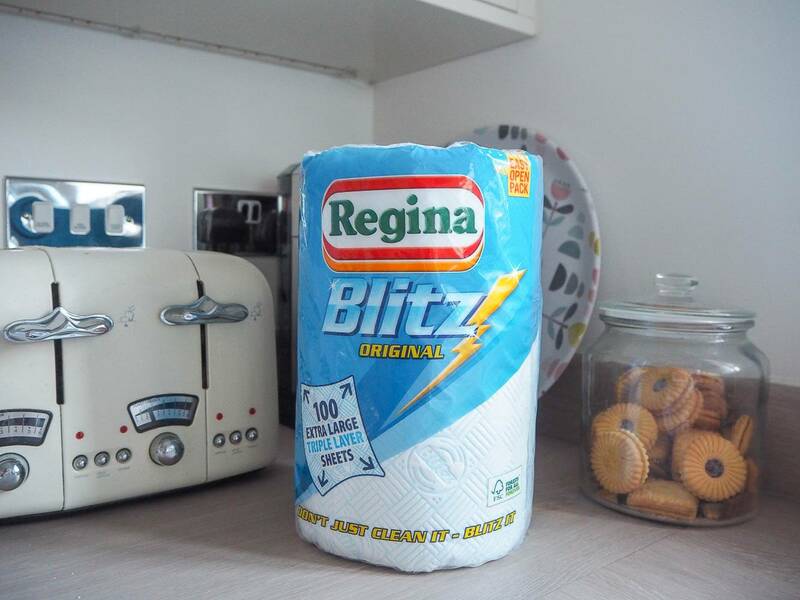 Regina Blitz is available to buy from all leading supermarkets and the RRP is £2.50. 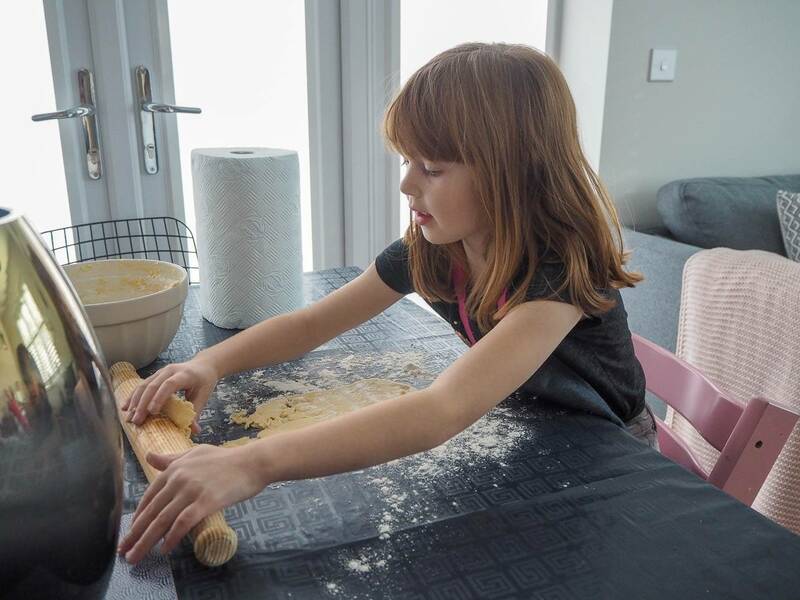 Let’s make this the Christmas, where we make the most of the moments that matter…in a mess free house! Disclosure: This post is in collaboration with Regina. All views, opinions and photos are my own. Mess-free house! Everyone’s Christmas dream 😉 Would love to take a peek at that dough recipe.